Pet Shop társasjáték - Magyarország társasjáték keresője! A társasjáték érték! A Pet Shop egy kiváló társasjáték, 1 játékos részére, az átlagos játékidő rövid, csak 30 perc. A társast, 12 éves kortól ajánljuk kipróbálni. A játékmenet erősen épít a kártya húzás, a terület mozgatás és az idő követés mechanizmusokra. 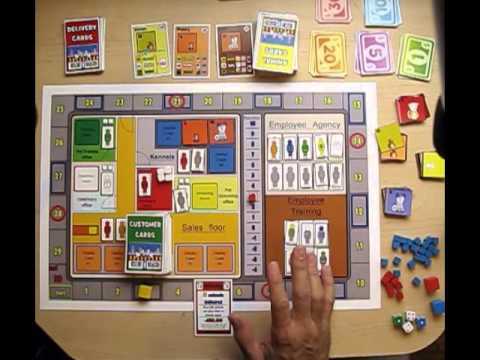 Pet Shop is a Solitaire worker placement game that involves you as the new owner of a brand new pet store selling Dogs and Cats to special clientele! Your business must earn enough money and keep a high enough reputation by the end of 30 days or the pet shop will close. You have three main departments that are the money makers of the business: Grooming, Veterinarian, and Training. These three departments can be run by a contractor, a trained contractor “specialists” or a Professional. There are two other departments that take in new strays or donated pets and sell them once they’ve been through the three main departments: Sales floor and the Kennels. The last office is the Manager's Office, which is where you must be to hire new contractors or professionals, fire bad employees or send your contractor out for training to become specialist. The office is where you control the day-to-day operations of the business. 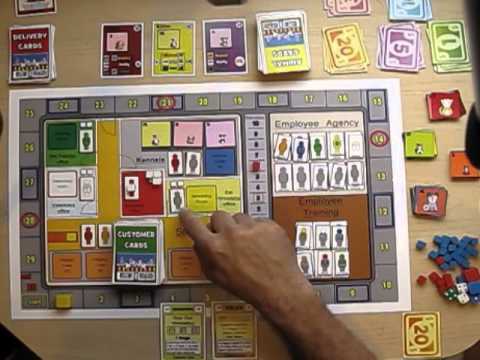 The game board shows a floor plan of the Pet Shop with all the departments and your office. 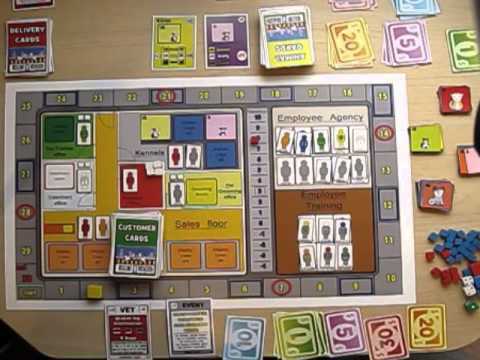 Inside the three main departments is a space for an employee token and a pet card. In the office is a space for you and/or your Asst. Manage token. In the Kennels there is a space for employee tokens and four pet cards. The Sales floor has a space for employee tokens and four pet cards. There is another building next to the Pet Shop that has a Temp Agency and an Employee Training office. This building is used to hire new employees: contractors and Professionals. The Employee training office takes in your contractors and trains them to be a Specialist as a Veterinarian, Groomer, or Trainer yet they are not as proficient as the true Professionals. 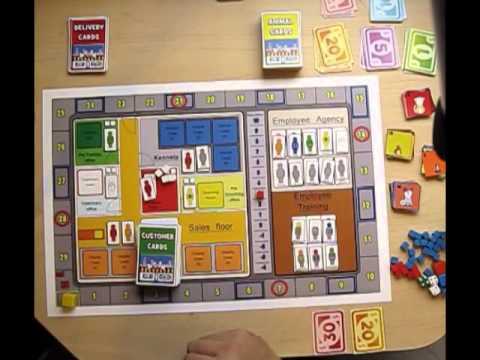 On the outside game border is a sidewalk with 30 spaces that represents a turn track to keep track of the 30 days you're in business. 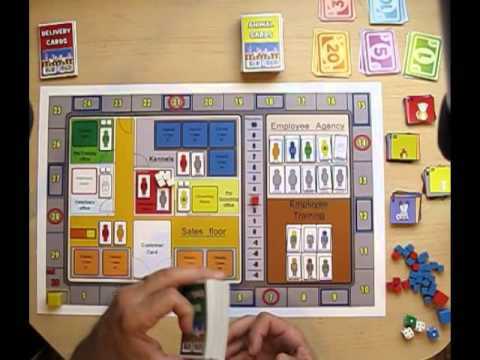 In the middle of the board is the Reputation track to keep track of your businesses reputation. 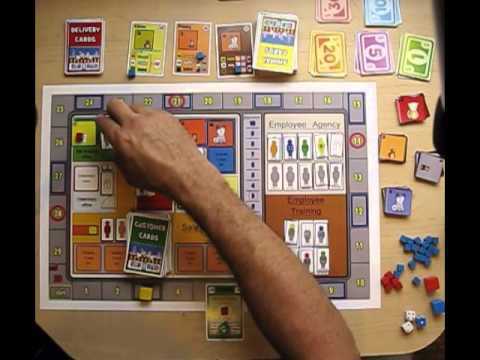 The game play is worker placement with a countdown 30 day turn tracker. You will collect new animals or abandoned strays into your kennels but are limited to three spaces within the kennel to hold the pets, so picking the right animal is critical. You the owner must decide which department is most important to change the new pet into money making breeds! Each animal has a large, medium or small breed and only certain departments can be used to help improve the animals for sales. You only start with a small non Professional staff although you the owner can run any department in the business. 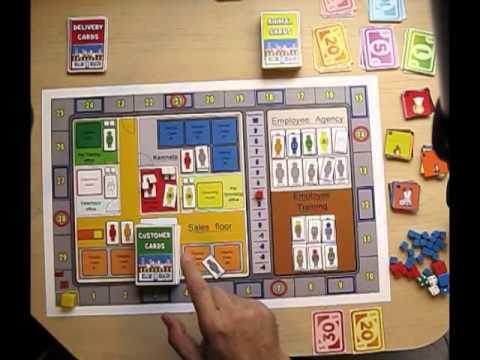 You must decide who to hire, place those new hires in the most needed departments, and decide when to place them in training to help each department improve their operations. With each animal you sell, you will earn more money to put back into the business to hire more employees, train more staff, to improve the pet quality for the customers. The customers will have specific needs such as; breed size, quality and number of pets wanted. 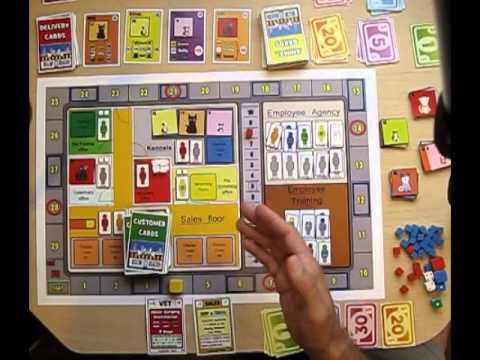 Each day you will draw an event card which will show either a new customer walking into the store, a donated pet, a picked up stray, a business problem, or customer issues! 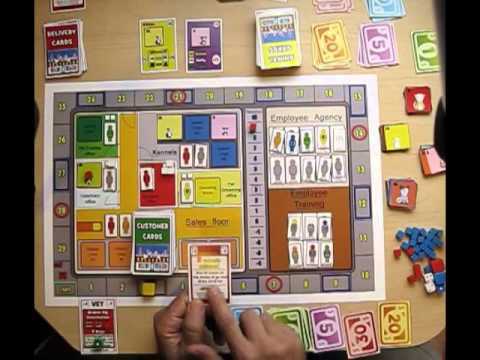 To win the game you must maintain a certain reputation and earn enough money to stay in business for another month, if you don’t do this you lose and your business goes OUT-OF-BUSINESS!